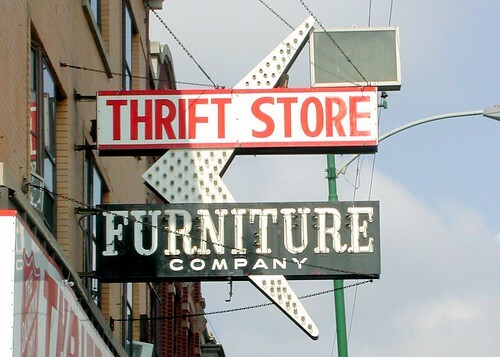 It’s not even about doing good by supporting charities, or saving the earth, I just love thirft stores. Going through thrift shops and second hand stores is like a treasure hunt. There are wonderful vintage finds and items that are unique. I get tired of the same ole’ same ole’ that is in every department store and discount center, I prefer to be original. Furniture would have to be my favorite find. They just don’t make ’em like they used to and I would rather have a well built older piece that is more unique than a press board from sawdust piece that will disintegrate when it’s time to move. I don’t even mind if I have to refinish it. I am off to the thrift store today to hunt for a few jars, baskets, or tins to put the gifts I am making in and also to hopefully find some old felted sweaters for 50 cents that I can turn into several pairs of wonderful mittens.There is just something wonderful about making something that is no longer wanted into something useful. This is post number eight in a series of 100 Things About Me. All my favorites have come from thrift stores.I<3 thrift stores!